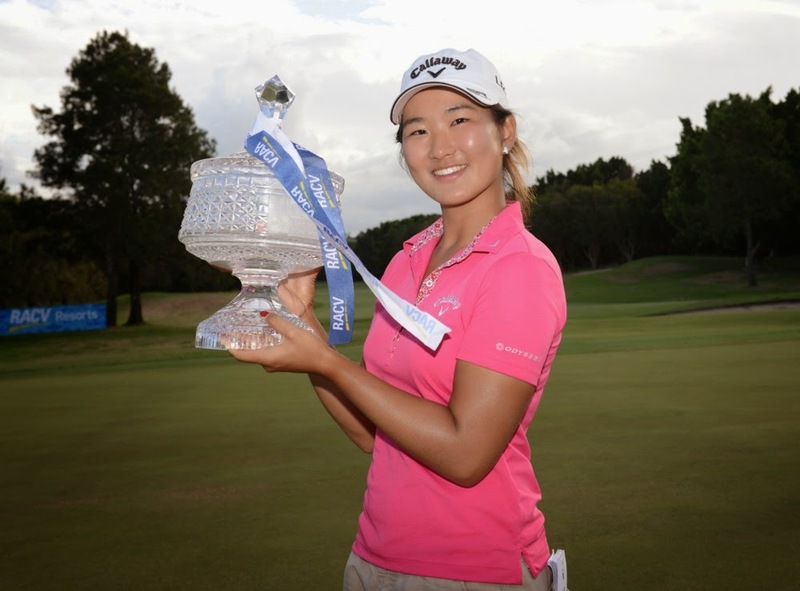 Australian teenager Su Oh is a winner in just her second start as a pro. Oh's professional career is off to a tremendous start: She finished second in her first start as a pro, and now first in her second start. Oh (who used to go by Su-Hyun Oh but now by the shortened Su Oh) won the RACV Ladies Masters tournament, a co-sanctioned ALPG tournament that also serves as the season-opener for the 2015 Ladies European Tour. Oh shot rounds of 69, 75, 72 and 69 to finish three shots ahead of the runners-up, Charley Hull, Katherine Kirk and Florentyna Parker. And Oh did it in style, finishing with four consecutive birdies to ensure her victory. Just a week ago, Oh finished runner-up at the ALPG's Oates Victorian Open, her pro debut. This win gets her membership on the LET, and no doubt we'll be hearing more from Su in the year ahead.